This just in from Edinburgh: the complicated lives of the denizens of 44 Scotland Street are becoming no simpler. Domenica Macdonald has left for the Malacca Straits to conduct a perilous anthropological study of pirate households. Angus Lordie's dog, Cyril, has been stolen, and is facing an uncertain future wandering the streets. Bertie, the prodigiously talented six-year-old, is still enduring psychotherapy, but his burden is lightened by a junior orchestra's trip to Paris, where he makes some interesting new friends. Back in Edinburgh, there is romance for Pat with a handsome young man called Wolf, until she begins to see the attractions of the more prosaically named Matthew. 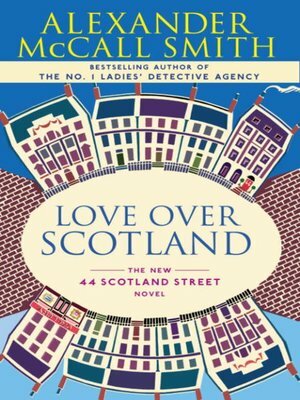 Teeming with McCall Smith's wonderful wit and charming depictions of Edinburgh, Love Over Scotland is another beautiful ode to a city and its people that continue to fascinate this astounding author.